Sign up for your FREE ebook and bonus insider resources every week! 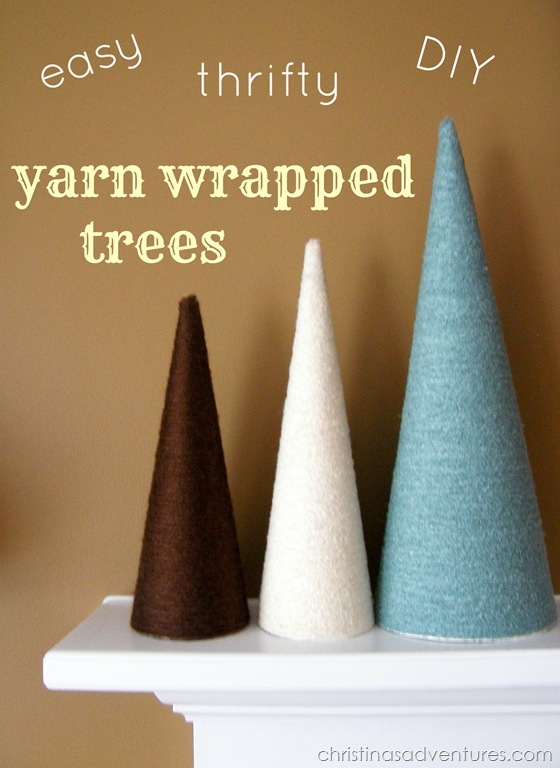 About 2 years ago, I made smaller yarn wrapped trees for our old apartment. I decided to re-create them this year, and give them some color for Christmas! 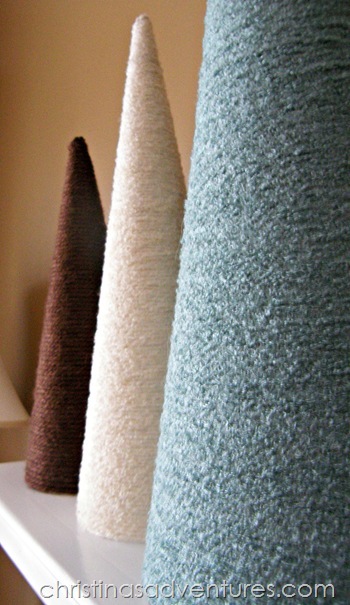 These are super simple, thrifty, and so cute! Instead of using expensive Styrofoam, I went to the Dollar Store and bought some poster board. They weren’t even a dollar a piece! I rolled them up until they came to a point, hot glued down the seam, and cut off the excess paper. As long as the front looks good! 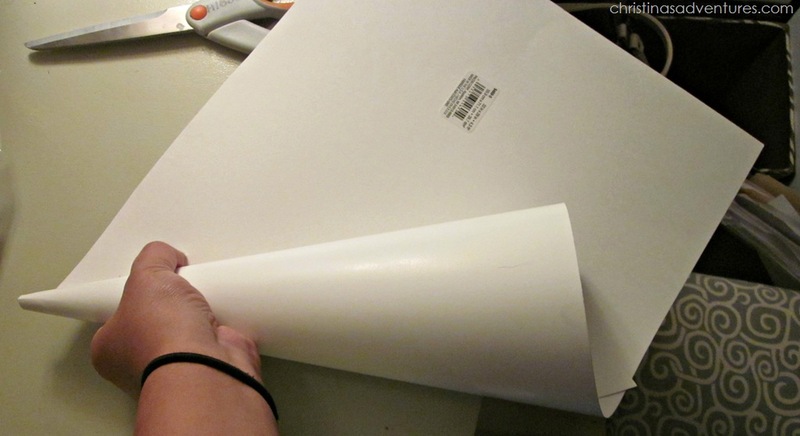 Once you get down to the bottom, just carefully trim the excess poster board with some scissors. And repeat! These are actually pretty big – you’ll see them in comparison when I share my whole mantel. The blue one is about 1.5 feet tall! I love the warm and cozy texture of the yarn! Simple, thrifty, and super cute! your FREE ebook and insider resources every week! The look is so clean and modern, I love it! I love them! I am really in to trees this year and this would be perfect on my desk. I am having a blog social on Saturday I would love for you to stop over and link your cute piece of blogland. Hop on over and grab my social hop button and join us! Have a crazy beautiful day! I love these! I did some in felted sweaters but I like this because it is so versatile and you can do almost anything depending on the yarn! These are so cool! I love how it can go with a more contemporary decor and then be oomphed up to be a little more glamorous by just adding a little bling! Love it! This is great! I just finished a yarn wrapped wreathe project and these little trees were next on my to-do list! I love the colors you picked, would match my living room perfectly! 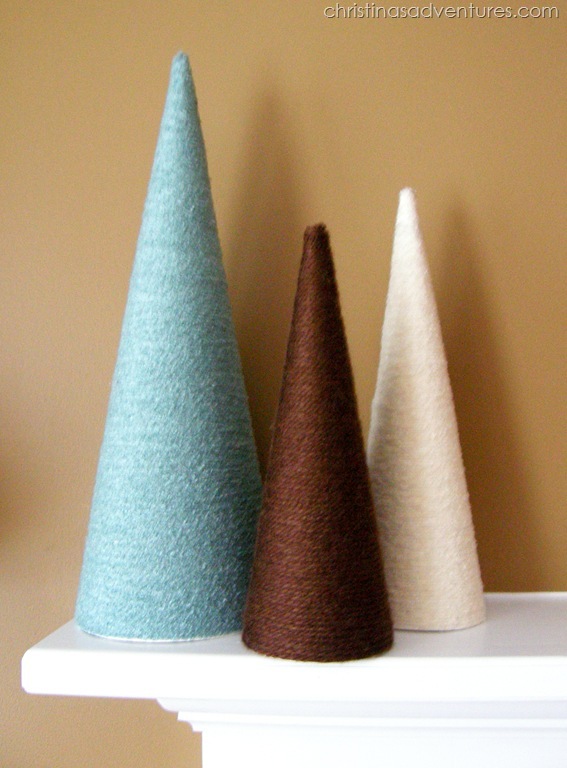 I have a huge yarn stash so I think I’ll make a few of these – yours look so nice! Yes, I will try this. I have some yarn (couldn’t seem to get the hang of knitting!). And I’m really into making small trees this year. 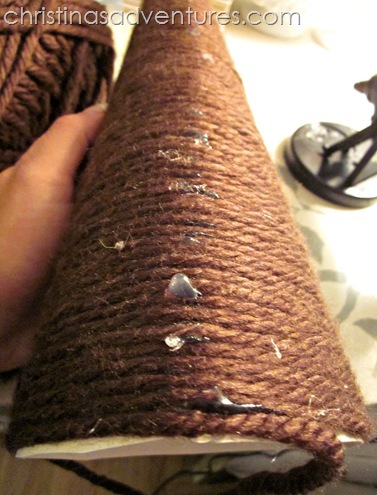 This style is pretty and yet so simple, and I appreciate the tip about where to hot glue. 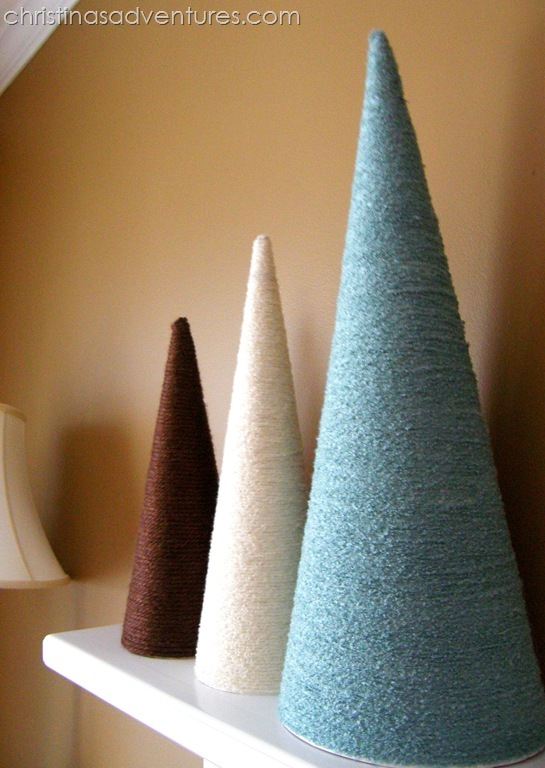 Also, I am pinning a photo of your three trees on my Pinterest board for Tabletop Trees. LOVE the color combo. 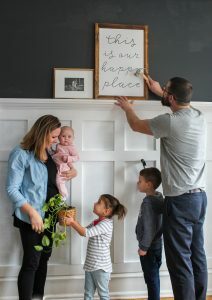 Cute and easy idea:) Saw your post over at Someday Crafts. These trees are so cute! I’m going to try this. I have so much yarn right now. Love the simple beauty of the trees. And I love that you can make them any color you want, gives you such ersatility. Visiting via Tatertots and Jello. I love this idea! Thanks for the inspiration..
Over here, we do imperfect. We have limited budgets, not enough sleep, and big dreams. Every day is an adventure – and one we love sharing with you. We’re working on making our fixer upper a home, one project at a time. Christina’s Adventures is a participant in the Amazon Services LLC Associates Program, an affiliate advertising program designed to provide a means for sites to earn advertising fees by advertising and links to Amazon.com. As part of this Amazon Associates program, the Website will post customized links, provided by Amazon, to track the referrals to their website. This program utilizes cookies to track visits for the purposes of assigning commission on these sales.